Services – Primetime Media Ltd. If you are thinking about using video to deliver your company’s message but are unsure what the best method will be for you, then talk to us and we will advise you. 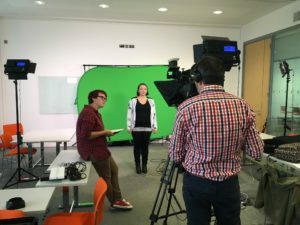 Video can be complicated when operating across multiple platforms – but our specialists are here to help. We can provide a complete solution whilst allowing you full control of your video production, from the initial planning stage and scripting, to distributing the end product by embedding on client’s website, creating iPod downloads and DVD creation. We are happy for you to manage as much as you like in house, and we can do the rest. Our style means we will explain fully the processes we take so you can relax and enjoy the final production. And to top that off we can guarantee we are among the most competitive prices in the UK for award winning video production services. Call us today on 01205 750055 – email us – or contact us online. Primetime Media has been supplying TV News Crews to national and international TV networks since 1990. Our clients include ITV National, ITV Yorkshire, BBC, Sky, Channel 4, History Channel and many more. 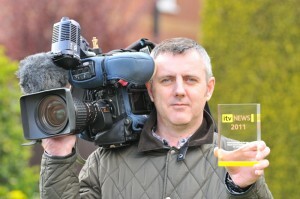 We can supply location TV camera crews in Lincolnshire, the East Midlands and across the UK. We have filming experience around the World so if your company requires footage overseas then we can help. Our teams are equipped with DigiBeta, SX, HD or DV camera kits, sound, lights, minicams, steadicam and jib. Our crews have gained filming experience in sport, fashion, lifestyle documentaries, travel, aviation, current affairs, magazine style programmes & ENG News. We’re happy to work solo or with a team, and offer portable location editing via Final Cut Pro or Avid running on a MacBook Pro. Lincolnshire has a wealth of film material dating back as far as 1901! The film is under the care of the Lincolnshire Film Archive, who along with Primetime, are continuing to collect, and digitally copy the delicate films and distribute to the general public. 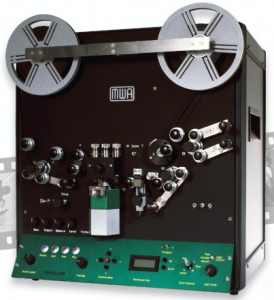 If you have any old cine films that you would like to view again, donate to the Lincolnshire Film Archive (Registered charity no.1000394) or would just like copying to DVD or digital files then please contact us. We have produced a series of Archive DVDs which are for sale from our Primetime Books & DVDs sales site. Our latest production ‘Lincolnshire, A Century on Film’ will be a series of four DVDs detailing the rich heritage of our county and the changes it has undergone since the early 20th century. Read more here. Primetime also has a wealth of video tape and digital archive footage collected across Lincolnshire dating from the end of the 1980s up to present day. If you are in need of material from this period and location then please drop us a line and we’ll check our back catalogue. Primetime holds HD archive video recorded from the air of Lincolnshire landscapes and features, as well as an extensive library of Royal Air Force military, WW1 and WW2 commemorative aircraft inflight footage. This material is currently being digitised and more details will be released in the future. For further enquiries please contact our team. 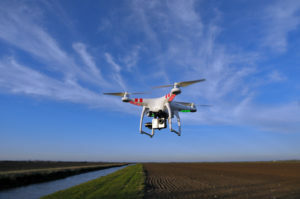 ANTICIPATED: Primetime has finalised its Operations Manual which has been approved for a CAA Permit for Commercial Operations of sub 7kg drone aircraft for surveying and filming. We aim to be fully operational in 2018, with the first drone camera operators completing training later this year.